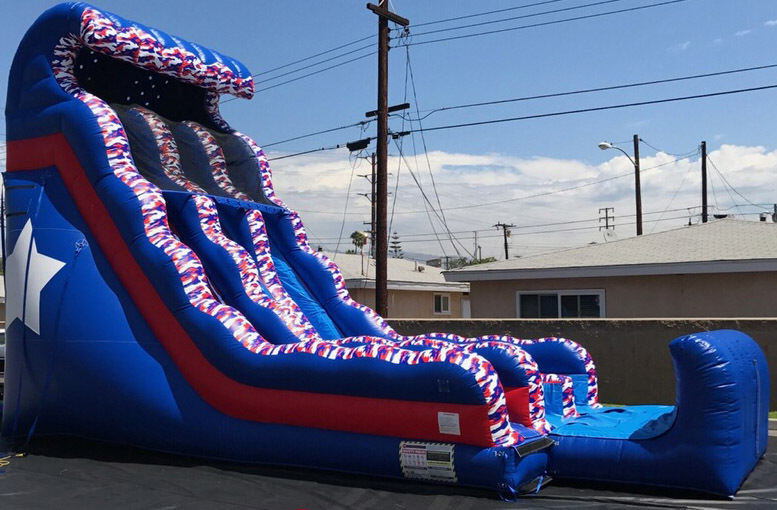 The attention-getting BIG TEX dual lane dry slide is sure to bring everyone running and keep them sliding at your next event or party for hours! 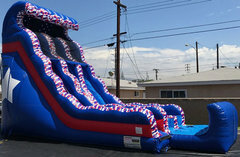 Participants can climb up 22 feet for a sleek and fast drop to the cushioned bumper stop bottom, guaranteed to satisfy thrill seekers young and old. With our Red, White, Blue, and custom themed Texas camo, this dry slide will be an eye-catching attraction. 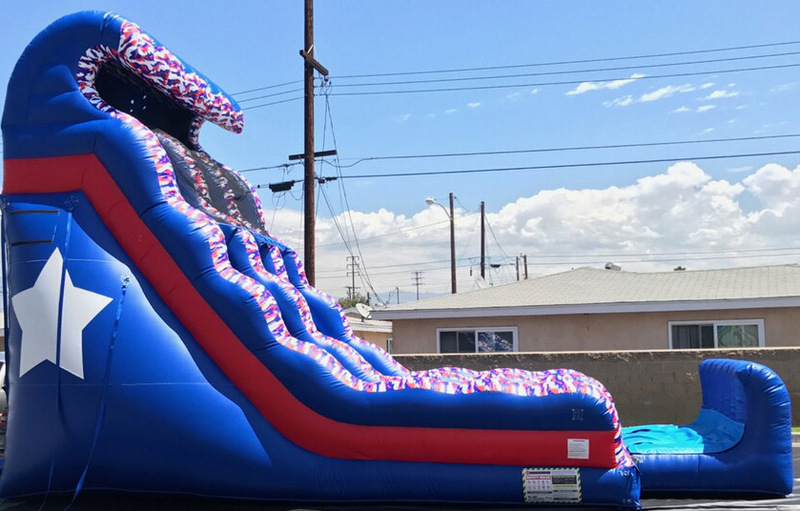 The BIG TEX Slide also is available in a Wet Slide with pool and Wet Slide with Slip-n-Slide, and is a great way to combine fun and healthy activity, and will add excitement to any Party or outdoor event! This is a very large slide and we will need access to the set-up location that is clear of ALL objects. Due to the size of this slide we will not lift it over anything, flip it around anything. We must have a clear path to the set-up location.